Magazine editors love us! Check out what the Bee-u-tiful Buzz is all about! Contact Barbara@u-bee-well.com or download our most recent version about how we're saving Philadelphia's Queen Bees here! Our Latest News! Bee Ready for What's Next. We're giving 10% of our proceeds to the Philadelphia's Beekeepers Guild to help save our queen bees! We're headed to the Emmy's! Well...our Lip Balms that is. In the hands of all the hot celebrities on the front of their gift bags. 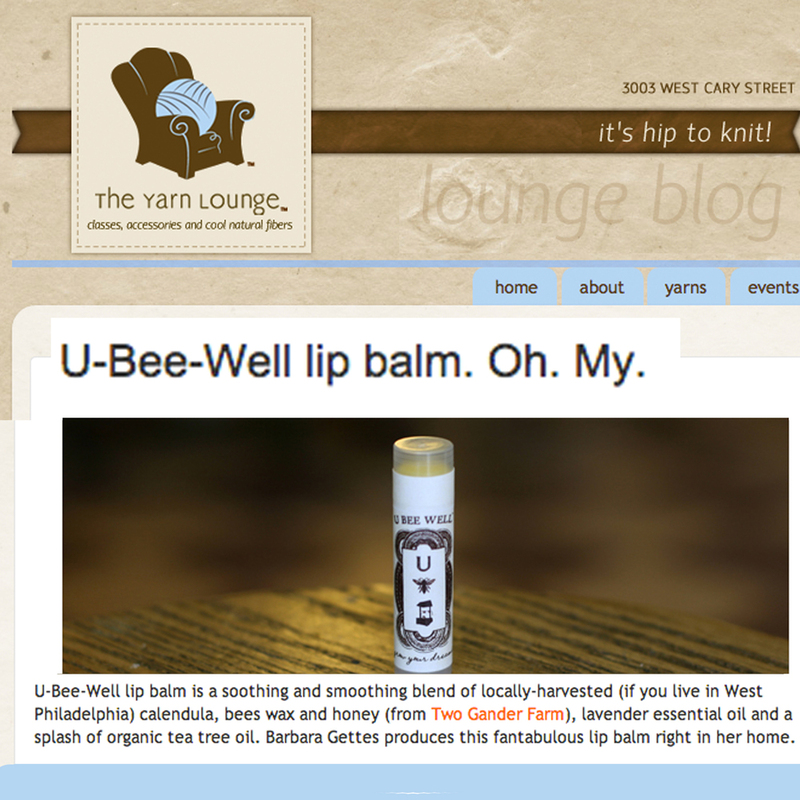 Watch out for our Lip Balms! Coming to your doorstep this Winter 2014! Just in time for the holidays. Check out all of our latest news and yes, cat AND baby photo's on our site. Meow! We love concocting new and exciting flavors of lip balms. Let's Collaborate! Contact Barbara here.